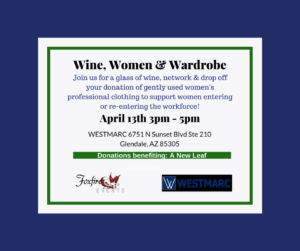 All women are invited to bring your gently used professional clothing items to this event as a donation to A New Leaf! Your clothing donations will help women who are getting back into the workforce look and feel their best when interviewing and accepting work in a professional capacity! 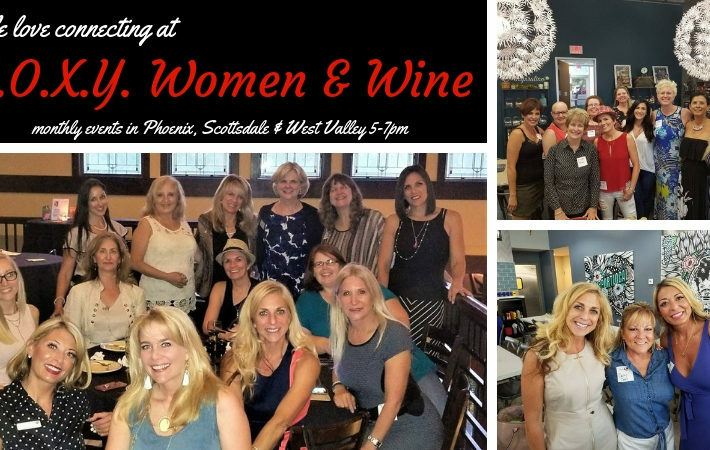 While you drop off your items, plan to have a glass of wine & network with leading women in the valley. 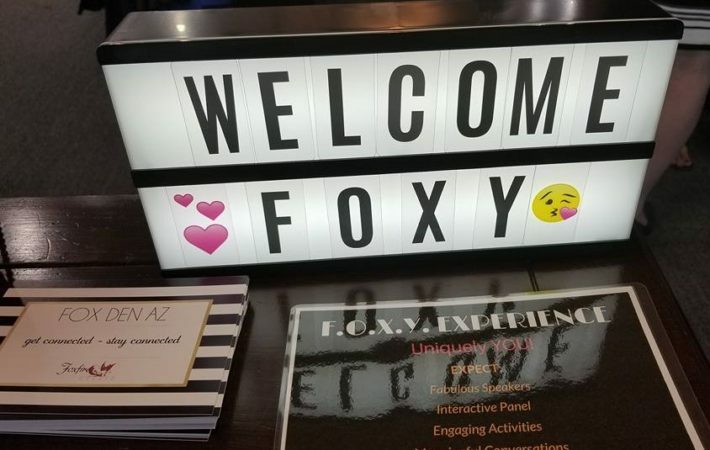 This event is being hosted by WESTMARC. Drop by anytime between 3pm – 5pm and stay as long or as little as you like! 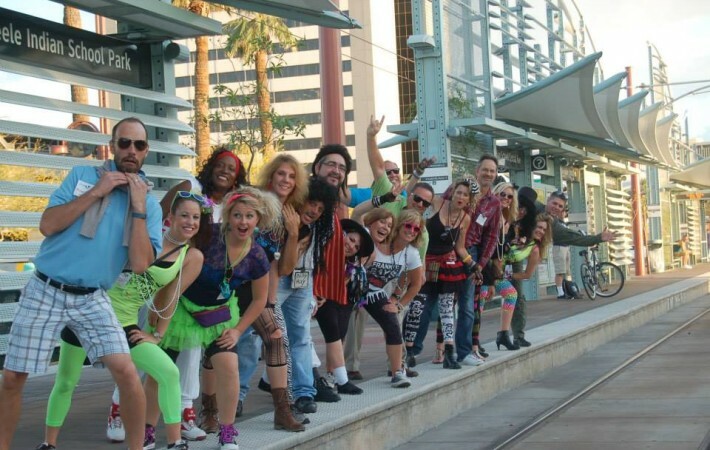 WESTMARC—the Western Maricopa Coalition—is a public-private partnership of the 15 communities, the business community and the educational sector in the West Valley of Greater Phoenix. ABOUT A New Leaf: We provide a broad spectrum of support services to help individuals and families succeed. From basic needs to career development to budgeting, A New Leaf focuses on providing the critical skills to achieve lifelong independence. 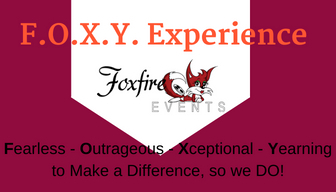 Our clients’ successes include employment, healthier lifestyles, enhanced life skills, high school diplomas / GEDs, college degrees, and self sufficiency.